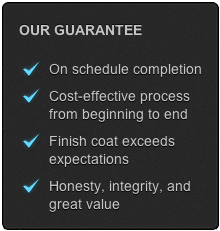 Painting Contractors Alabama is dedicated to providing its clients with the highest quality surface preparation and coatings application services while providing a safe working environment on all of our projects. Maintaining a safe and healthy working environment is not only an important human resources issue, it’s the law. Whether they’re entry-level workers, seasoned veterans, supervisors, or plant managers, our employees need to understand health and safety risks, the steps they need to take to minimize those risks, and common safety standards and compliance procedures. With an emphasis on each employee’s role and responsibility in developing a more complete knowledge of, and appreciation for, workplace safety, Painting Contractors Alabama provides our employees with specific procedures for handling various materials, operating different kinds of machinery, and performing various tasks safely while at the same time ensuring maximum organizational productivity. Our people know when to stop and think before they do something. They know to ask themselves: What are the risks and problems that they foresee? What can they do to minimize risks? 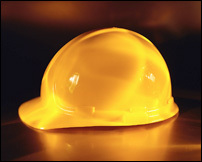 Occupational Health and Safety requires that dangerous situations be completely minimized. Responsible workplace behavior matters just as much. That’s why we’ve developed programs to tackle the behavioral causes of accidents. They include such measures as OSHA sponsored safety certification, ongoing job safety and behavioral analyses and employee training courses.